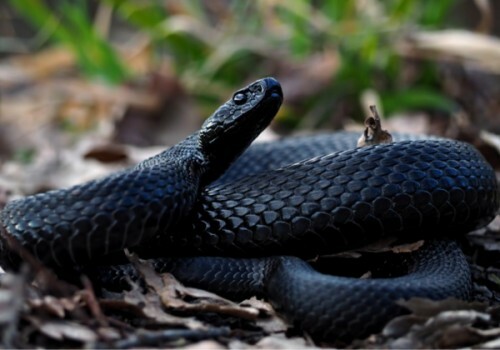 Having a dream about a black snake can be a very frightening experience, especially considering that the particular hue of black represents a negative energy or dangerous connotation. And while most black snake dreams have a powerful, yet destructive meaning behind them, there are certain situations in which a dream about a black snake can be somewhat positive. Before we dive into the negative meanings behind seeing a black snake in your dream, let’s figure out some positive ones. If you return home and you are not scared but are rather happy with yourself, this could be a sign that you have conquered whatever negativity was trying to bring you down and you can proceed with life. If you wake up and realize you know who is causing the negativity in your life and you know what changes need to be made, that is a great indication that the black snake undid your blindfold and you can now see the light. Waking up and realizing the problems you need to fix as soon as possible is also a very positive outcome of having a black snake in your dream. When the dream was ending it was a positive experience, no matter what happened through the rest of your dream, you can wake up knowing it was not all for nothing and figured out a solution to the problem. Let’s say during your dream a black snake attacked you, and you really couldn’t defend yourself too well from it. Having a dream like this can mean that you’re having difficulty with coping in different areas of your life. You need to look deep into your mind and heart to discover what things you’re being unable to cope with. Even if you think you’re perfectly happy on the outside, there may be some deep-seeded issues you need to come to terms with. During your dream, if you stumble upon a black snake that is completely cut in half, you can chalk it up to the message being that you need to do better in social situations. Perhaps you’re a bit on the mean side when it comes to new people, or you’re overly distant and shy? Having this dream indicates that you need to cut those bad habits in half when it comes to socializing. You need to make a change with yourself and realize that you can give respect and kindness to others, and they will return the favor. 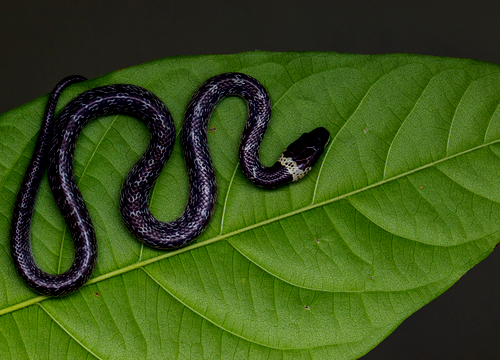 Simply put, the baby black snake represents the small amount of finances you may have. The baby snakes is a sign you need to get back on track with money and quit spending too much. If in the dream the black snake is frightening to you or threatening you in any way, this may be a representation or a troublesome person in your life. It is a big sign that you need to let this person go and move on with your life, or they will continue to destruct it any way they please. Finding a black snake in the wild is typically a sign that you are delving into some dangerous situations. What you need to do is remove yourself from these situations immediately so you may find peace in your heart and mind. Oftentimes in dreams such as these, the black snake will actually say words to you. It is important to recall and remember the words, as they are usually a small insight of wisdom that you need to listen to and apply to your life. Having a dream about a black snake is typically associated with something negative. But don’t think of this as an all around negative experience. Take the dream as a warning. See what things in your life you need to get away from or change so that you can have peace all around. Have you ever had a dream about a black snake? Did it end up helping you to make changes in your life?